Here we are on the eighth day of our challenge in which we pit two different Richard Armitage characters against each other in competitions. 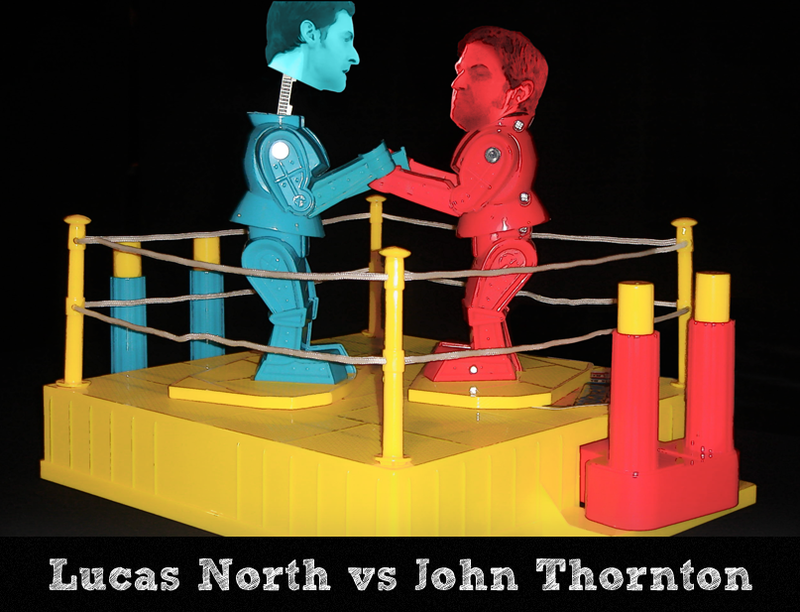 Today’s contributions come to us today from Teuchter who requested Lucas North and John Thornton in a punch up. Thank you very much, Teuchter! Now it’s time for your poll. Here’s the hyperlink if needed: Who packs a better punch? What are some children’s toys and games you remember? This entry was posted in Collaborative Project, Graphics, richard armitage and tagged actor, graphics, john thornton, lucas north, MI5, north & south, richard armitage, spooks. Bookmark the permalink. Teuchter…where’s the bottom half of Lucas? You remember……..soaking wet skin-tight jeans 😉 Guess I’ll just have to visit Ali’s site again for that fix! OH! That was AWESOME! And what a tough decision — who is tougher? The reason I voted for Thornton (you might assume I did because of my user name, but no) … is because he had no trouble standing up to that mob. Because of North’s character flaws, I don’t see him doing that. As for favorite child’s game — do you remember the board game Mystery Date? I’m probably really dating myself on that one. My ABSOLUTE FAVORITE at the tender age of 7. I remember Mystery Date. We used to play that all the time. Voted for Lucas… He has the training and more experience in punching people! 🙂 Thank you for the pictures Teuchter and the funny sig, Bcc! Oh my favourite toy as a little girl was my Barbie doll. My mum’s aunt (who lived in the USA) bought it for me from LA. In the late 70s nobody has heard of Barbies in Hungary so it was a big deal to have one! 🙂 My mum made her (the doll) some wonderful dresses and I spent hours upon hours dressing it up, styling her hair etc. I still have her (or it, rather) somewhere in my flat in a box! Oh-ho – now THAT is truly priceless! You are killing me! Voted for Thorton ’cause he looks like he means it! I’d like to see him take on John Standring! Now there’s a man who can take a punch! I had to vote for my Lucas. No contest,, he’s had way more experience in fights than Thornton, and I mean professional experience 🙂 Doesn’t Lucas look lovely in blue. Thank you Bccmee and Teuchter! Excellent choices and graphic. OT: I need a realistic baby boy doll for my darling Lachlan (almost 3). When I was baby-sitting on Wednesday night, he wrapped his teddy bear in a bunny rug and told me it was his baby! I think he was feeling left out because Asha (5 in October) has a Barbie and a Rapunzel plus 2 baby dolls to put to bed!. You mean a boy-doll that has a willy? 😉 I’m afraid I have no idea where to get a doll like that. All my godson (5 in Dec) ever wants are trains, trains and yet more trains! Oh, Lachlan loves his trains and cars and space ships, too, and enjoys grabbing his big sister when she’s least expecting it and practically throwing her on the floor so they can wrestle! Your typical boy in that respective. But he does have his softer side and loves singing, dancing, playing his guitar (a toy, of course! ), pretending to be a hairdresser or a chef! A couple of his stuffed toys sit on his bed and he “reads” to them in the semi-dark before he goes off to sleep! I’m not so sure that he’d need a baby boy doll with jingly-jangly bits 😉 just so it looks boyish and came with baby boy clothing! I’m quite happy to encourage his nurturing side but don’t want to turn him into a sissie! 😉 I’ll leave you to work out that Australianism! I have a faint idea what bunny rug might mean. I know what sissy is though! At least I think I do! My godson has a nurturing side too. He adores his big stuffed elephant, doesn’t go anywhere without it! And when he meets babies he’s very gentle with them, strokes them. He’s going to have a little half-sister in Sept. from the new relationship of his father. I’m sooo glad you knew how to spell “sissy”, Judit…….what was I thinking writing “sissie”!!!! 🙂 The dooziness of fibromyalgia kicking in again, methinks! I think you might know that my Matthew is now 41? He’s always been my gentle giant (but he’s not quite as tall as Richard!) and I think that’s a great thing in a man. Remember when Richard said that he was more into nourishing and nurturing than….oh! boy…it’s gone again! But I think you know what I was going to say here. Anyway, Lachlan is very much like his Daddy in many ways, even though he looks like his Mummy. My Melanie’s Bailey is your typical 6 year-old boy and you’d never call him a sissy but he’s so protective of his little sister, Kaitlyn (who turned 4 on 20 Jun). Your godson seems like another “gentle soul” – the world needs a few more of them! Agree Judit! Poor Ken. Poor Barbie! The Rumble in the [plastic] Jungle? I don’t think they’ll make the eighth round, ‘though. “The Famous Five”! Oh my goodness, Ana! Does THAT bring back memories or what! Do you remember “The Secret Seven” stories too? I do, Teuchter! And what about “The Magic Faraway Tree” and “The Wishing Chair” series? Another book was “The Princess and the Goblin” and The Book Depositry or somesuch still had it about a year ago!. difficult choice, but vote for Lucas, after all he’s trained for it, right? Actually, my cousin had fighters robots, but rarely let us play with him .. with my two sisters, we play with our bears, dolls and others, representing our TV shows or favorite movies! I took a good guess and chose Lucas. From what I know, Lucas had so many issues, so he would have more experience in fighting with people. 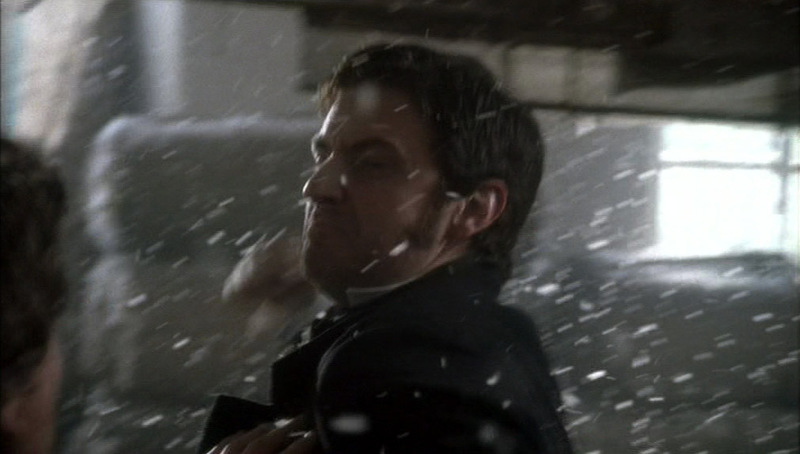 Rock ‘Em Sock ‘Em Armitage? A total hit! *rim shot* This is great, Teutcher and BccMee! Very clever graphic Bccmee! Love it! Excellent choice of pictures, Teuchter! And I voted for Lucas. As a child I loved teddy bears (somewhere in the closet I have a teddy bear, which I got when I was three years). As for the game, especially on rainy days with my brother and cousins ​​were playing board games (chess, checkers, ludo or table football). Good job B and love your pics Teuchter! Of course I picked Lucas. I always pick Lucas. I cracked up laughing when I saw the Rock ’em Sock ’em Robots theme. I remember those. I didn’t have them, but I had friends who did. My older sister had a Mrs. Beasley doll. I had Baby Alive. We all had various Barbies(I have three sisters). My younger sister had the Barbie Beach Bus so that Malibu Barbie, Ken, Francie and Skipper could all travel in style. Well, 70’s style(that’s an oxymoron isn’t it?). I remember trying to get my slinky to go down the stairs. It would go down one and stop or fall down the rest. I always wanted an Easy Bake Oven, but never got one. The thing we liked the best were the Fisher Price little people. I’ll kiss the “loser’s” boo boos better! Que? (a la Manuel from “Fawlty Towers”!) Maybe the US didn’t get this John Cleese show? To an Australian, a “boo boo” is a mistake, a slip of the tongue. So what on earth do you mean? And It’s possible to kiss it better? Almost sounds naughty! Very funny Bccmee and Teuchter! Of course you have North battling against the man from the North in this match up. Ha! For those who didn’t understand “bunny rug”: it’s one of those little baby blankets you wrap smallish babies in……er…..a swaddling blanket… maybe?